For people living in large cities, it has become inevitable to suffer the manifold harmful effects of air pollution which affects almost every organ of the body. Cities like Delhi, are the extreme, but even London and Paris have its share of bad air. The skin being the largest organ and the barrier for our inner organs, has to face the brunt of the damage.The problems include skin dryness, rashes, allergy, wrinkles, pigment spots, eczema and accelerated aging. 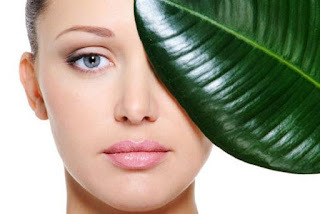 Air pollution increases the amount of free radicals in the air and this along the ultraviolet radiation, decreases the amount of collagen (the fibres that give softness and elasticity to our skin and give sit its youthful appearance ) in the skin.The skin thus loses its elasticity, developing fine lines and wrinkles. With this toxic air, the oxygen delivered to the cells of the skin is decreased, making it look dull and tired. The tiny particulate matter in the vehicular traffic cause pigment spots on the skin. New research shows that polycyclic aromatic hydrocarbons, nitrogen dioxide and other chemicals in the air accelerate skin aging significantly. In the review article, 'Air Pollution and the Skin', Dr Akaki et al. warned that "considerable effects mediated by air pollutants on the human skin may contribute to skin aging, atopic dermatitis, skin cancer, psoriasis and acne". It is not only outdoors that we are exposed to pollution, the air indoors may be worse at times. Indoor Pollution - It may not be possible to move out of cities and live in the villages, but there is a lot we can do to reduce the harmful effects air pollution on our skin. Keeping our houses dust free is very important. Keeping the house uncluttered helps with cleaning. Using vacuum cleaners and wet mopping and dusting is recommended. There are many air purifiers available that claim to reduce the pollution; these claims are not evidence based and may not work as well as advertised. But even if they reduce the particulate matter slightly, it may be better than nothing. Screening from pollutants - On days that pollution levels are particularly high, wearing full sleeve clothes may offer the skin some protection. Always use a good quality sunscreen, even in winter to protect again sun damage. Wearing good quality hypoallergenic mineral makeup may offer some physical protection. 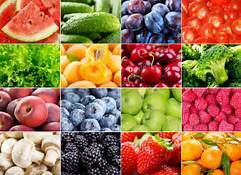 Nutrition - A healthy skin is the best barrier, and a healthy body will offer good nutrition to the skin. Eating a healthy, balanced diet, not smoking, less alcohol and regular exercise keeps the body healthy. Drink water to hydrate the skin.Include lots of berries, citrus fruits and leafy vegetables in your diet that help fight the free radicals . Skin Care - Having a good skin care routine, for cleaning, toning and moisturising the skin, every morning and evening is very important to keep the skin clear and replenish the skin and make it ready to fight the pollutants . Pretty basic and simple routine. I just don't get it why people do not follow this. Maybe first point is the answer. Maybe is the word. IF that gets covered, I feel rest will be easy. You are right Aditya,sometimes it is the simple things done daily that add a lot of value in the long run . Well said , these are so easy to implement and yet overlooked. Thanks for these pointers, they are those points, which we sometimes tend to forget despite wearing a mask full time. I need to work for a better skin and shall ensure cleansing it thoroughly. And I am sure your skin will thank you for it. This is a much needed post especially during Winters when your skin goes dehydrated. Needs to be followed religiously. Actually the harsh weather , the lack of fluids,pollutants in the air and sun bathing accelerate ageing and skin damage in winters . This is a very useful article and the need of the hour. Most of our big cities ares o polluted. Skin care is important at any age and the sooner a person starts caring about skin, the better it looks. Thank you Richa .I myself have very sensitive skin so we are travelling in the same boat ! This is a perfect post for the current times. We care the least for our skin in which we live forever and unknowingly pollution harms it a lot. The skin being the largest organ of our body is worst affected by pollution hence you will see faster ageing in metros. Quite apt post as that season is about to hit Delhi when we will have the worst AQI. Hydration, good nutrition and a well balanced skin care regime is something I love to focus upon. I have been loving your skin lately, would like to get some pointers in skin care from you too! Pollution breaks down collagen and the lipid layer in the skin and this is really a best idea to always smile with healthy skin.. This is a helpful post! I usually apply sunscreen but a maintaining a proper skin care regime is something that I am lacking. Have to work on that aspect.